The Suffolk County SPCA is offering a one thousand dollar ($1,000.00) reward for information leading to the arrest and conviction of those responsible for beheading and dumping 3 goats in Riverhead. Riverhead, NY - June 25, 2015 - The Suffolk County SPCA is offering a one thousand dollar ($1,000.00) reward for information leading to the arrest and conviction of those responsible for beheading and dumping 3 goats in Riverhead. Chief Roy Gross of the Suffolk SPCA said that the gruesome discovery was made and reported to NYS DEC who then reported it to the Suffolk County SPCA. The dead animals were found on the Otis Pike Preserve on Line Rd., Riverhead near Pole #5. The heads were found nearby as were fruits and vegetables. 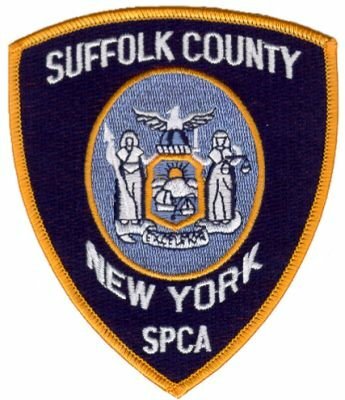 Gross said that anyone with information can call the Suffolk County SPCA at 631-382-7722 and that all calls will be kept confidential. Subject: LongIsland.com - Your Name sent you Article details of "Suffolk County SPCA Investigates Possible Ritualistic Killings of Goats Being Beheaded"